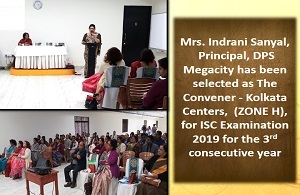 DPS Megacity has been judged the BEST SCHOOL in Kolkata amongst the schools set up in the last 25 years by survey conducted by THE TIMES OF INDIA. 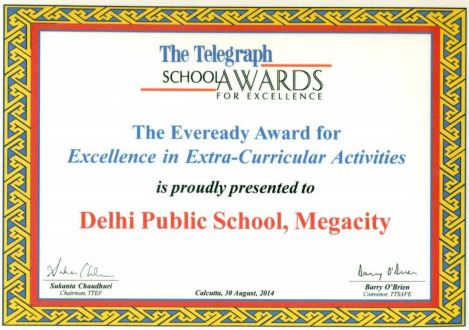 DPS Megacity has been successfully awarded from the British Council the International School Award. The school has a National ranking for the 8th consecutive year in 2017 – 18 from the Unified Council UIEO. MHS Grooves : At MHS Grooves 2018, DPS Megacity secured position in MACARENA & MRIDANGAM, both events were to present ethnic dances of Asia and India respectively. DPS MEGACITY became the champion in Quiz and won the second position in performing arts in an Inter - School Fest held on 27th April , 2018 on the theme of 'SAVE OUR RIVERS , SAVE OUR NATURE' organized by CEMO. Under YACA program,DPS MEGACITY KOLKATA,has won the first prize amongst 12 top schools of Kolkata.Conducted by Centre For Environment Education, CEE with collaboration with US consulate of Kolkata and a prize money of 7200.
was organized by the Economics department on 4th July, 2018. Ten schools across the city participated and gave assiduous presentations on various economic issues affecting the performance of the Indian economy. Delhi Public School Megacity was announced the Winner by the esteemed judges, Professor Saswati Mukherjee of Presidency University and Dr. Maitreyee Ghosh of Bethune College, followed by LaxmipatSinghania Academy as the 1st Runner Up and BallygunjSikshaSadan as the 2nd Runner Up. In ASSET Examination 2018, 53 students were among the top 1% at the National level. Many of the students achieved distinguished performance and outstanding performance certificates. 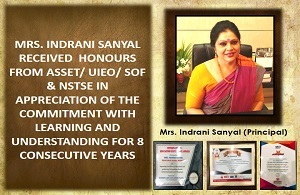 7 students were selected as ASSET Talent Scholars at National and International Level. In this club, we introduce young minds to the most booming field of today's world-'ROBOTICS'. We facilitate and guide our children to work with cutting edge technology. Our most recent innovation 'INTELLIGENT WHEELCHAIR' has won second prize in the most prestigious Maker faire competition in this year which was held in UEM. Dr Kalyan Basu has written books on Economics for ICSE, ISC, CBSE and Bengal Board. He has also written books for Economics for the graduation level. 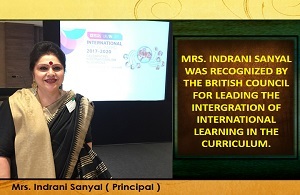 Mrs Shuvashree Mukherjee was awarded the Global Teachers award by British Council. 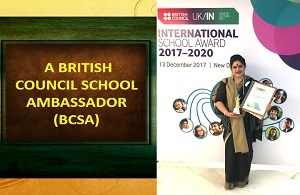 She was also awarded the ISA co-ordinator’s award from British Council. 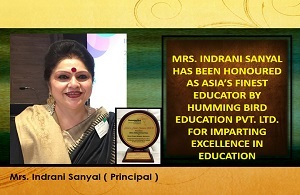 Mrs Nandini Pal (English) is a resource person for CISCE. Mr Ashok Kesri (Hindi) is resource person for CISCE. He has also conducted several workshops in various schools across the country. Mrs Shradha Agarwal was honoured with Certificate of appreciation from Rotary District 3291 for her efforts to sensitize students towards the underprivileged in our society. Our Teacher Mrs Dipannita Sen is writing a guide for ICSE Geography. Mr Subhasish Pal was awarded with second best PE teacher award by National Basketball Association. •	DPS Megacity emerged as the champions in EConclave 2018. Best speaker Ayushi Dutta. Ayush Gupta of class 9B secured 1st position in class 9 category among 1500 students of 150 schools in an Inter School Mathematics Contest Known as Mathemazic which was held on 27th -28th January 2018 at Taki Boys School, Kolkata. On 22nd April at G.D. Birla Sabhaghar prize distribution ceremony was held. Ayush Gupta got a cheque of Rs. 24,000. ArattrikaDey of 6A also secured 8th position in class 6 category and got a cheque of Rs 12,000. Space Application Centre, ISRO, Ahmedabad organised an Extempore speech contest and Harsh Sahay secured the 3rd position among 40 participating schools. In the Debate competition conducted by ISRO, Hitesh Kar was adjudged the Best Speaker against the motion and Vidyut Chattopadhyay, the Best Speaker for the motion. orean Cultural Centre of Embassy of the Republic of Korea had organised an essay writing competition named 'All India 6th Korea-India Friendship Essay competition 2018' for students from 6th to 12th standard. Harsh Sahay of standard 11 was declared one of the 10 best essayists across the country. 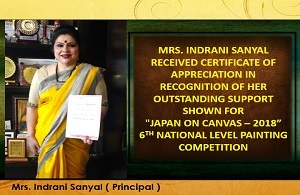 He was highly appreciated and felicitated in Delhi with a cash prize of Rs2000 and a certificate of appreciation. FILMIT INDIA FESTIVAL organized by INTACH was held on Wednesday 6th February 2019, Birla High School. Our school won 2 awards in the category of: •	Best Documentary Film •	Best Visuals The Students are guided under the supervision of our teachers – Mr. Sumanta Das and Mrs. Sanchari Dasgupta. It is an attempt to create a sense of respect for our Culture and Heritage. DPS Megacity won the Runner’s Up Award among 40 schools in SPORTSWIZ 2018- Inter School Sports Quiz Contest by Mr. Barry O’ Brien . Team Members: Anuran De, Shrey Singhal, Shourya Bhattacharya of Class 9. In “CHIAROS” at Queen Of The Missions school, DPS Megacity won 2nd Prize in Q Wiz and the team members were Rohan Nandy, Indrasen Ghosh and Srinjoy Ghosh. At Bhavans, in Quiz competition, DPS Megacity won 1st Prize and the team members were Ojas Vyas, Suprit Behera, Subhankar Basu, Rohan Nandy. In BITM Quiz, DPS Megacity won 3rd Prize. In Sushila Birla Fest, DPS Megacity won 1st Prize in Quiz. We also have a club to instill the art of public speaking in our students which looks into Debates, MUN and other related activities throughout the year. Regular Intra School public speaking programmes are conducted in the school to hone the skills of Public speaking. Harsh Tiwari was honoured with Verbal Mention in Model United Nations Conference organized by St James School. 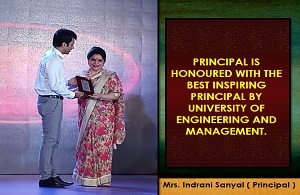 In Frank Anthony Debate stage 1Category 1 (2014) Harsh Tiwari was honoured with the First Runner Up Award. The Debate team of DPS Megacity (Harsh Tiwari and Adrija Ghosh) was declared the First Runner UP. In Frank Anthony Debate Stage II category II on the debate team of DPS Megacity was honoured with the First Runner Up Award. In Model United Nations Conference organised by Cathedral School Mumbai from 8th to 10th August 2014 Harsh Tiwari was honoured with the best delegate award and Adrija Ghosh received the verbal mention award. In Rangatosav an Inter School Hindi Debate Competition - Harsh Tiwari and Adrija Ghosh was honoured with the second prize. Kaustav Chowdhury of Class 10 secured the first position in Inter School Essay Writing competition on Drug Abuse and Illicit Trafficking organised by office of Superintendent of Excise Government of West Bengal. Inter School Essay writing competition organized by SAIL in October 2014, Shivam Shingania of Class 11 secured the 4th position. In Inter School Essay writing competition organsied by Modern High School Shivam Singhania of Class 11 secured the first position. Tushar of Class 10 was awarded the third prize in Perceptum an Inter School Essay writing competition organized by the South Point School (May 2014). In All India Handwriting Competition organized by Fun 2 Learn Debadrita Chatterjee of Class 6 was awarded the second prize and a cheque of Rupees ten thousand. Story telling:In Indradhanush - Udita Chakrbarty – winner and Anurag Ghosh second runner up. Deep Jaiswal of Class 9 secured the third position in the Inter School essay writing competition organized by Sati Nath Guha Foundation. He was awarded a cash prize of Rs 3000. To enable the students to express their ideas through colours, the school has a well-designed and well maintained Art room. They can choose from a variety of options available and experiment with oil painting, glass painting, crayons, sketches and poster colours. Anushka Ghosh of Class 7 was declared the winner in All India camel Colour Contest. In Bag It a event of Ullas Tanya Singhal secured the first position and Ayantika Dhar secured the third position. Debangshi Biswas of Class 3 won the 1st Prize in Inter School Rangoli Competition organised by Sushila Birla School. Classical and Western style dances are taught to the students by teachers who are expert in their fields. The beautiful performances are staged in various school events throughout the year. Students get a chance to learn western and Indian vocal and instrumental music in the music rooms. The music rooms are well equipped with musical instruments and students get to hone their talents in playing the violin and tabla apart from getting training in music. Regular Drama classes are conducted in the school. In Inter school Science Drama competition DPS Megacity was declared the winner. In Razzmataz an Inter School Drama Competion DPS Megacity was honoured with the third position. In Ragotsav a Hindi Cultural Festival- The Drama Team of DPS Megacity was awarded the first prize. Purvesh Chandok of Class 6 was the winner in drums in Summer Beatz, organized by Rowland Music and La Martiniere Girls Kolkata. 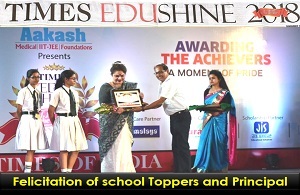 Twinkle Toes an Inter School Dance competition organised by Sushila Birla School DPS Megacity was declared the winner. Participants were from Class 4 of our school. Do Re Me and Inter school competition our Primary school choir was declared the winner. A large part of the DPS Megacity campus is dedicated to sports activities— cricket, football, athletics, tennis, badminton, basketball, table tennis, martial arts, kickboxing, yoga and shooting. The school is also equipped with a modern gym and two swimming pools. To bring out the child's maximum potential, we have professionally trained coaches for all sporting activities. The first hour of the day is utilized to give special training to students who will be representing our school in different games. During Inter House Competitions students are encouraged to watch the matches and motivate their houses and develop sportsmanship spirit. We are also introducing skating from the next session. From the new session Harbhajan Singh’s Cricket Academy is starting in our school campus. Tennis team of DPS Megacity was declared the Champion in 6th Inter School Tennis Tournament organized by Bengal Tennis association(13th to 16th January 2015). Champions in Junior Boys Category- (Anurag Agarwal, Aman Wasim, Abhra Ghosh, and Amrit Chatterjee). Champions in Senior Girls Category- (Isha Bhattacharya, Megha Roy, Tanisha Pal). In ASISC (WB Chapter) Senior Boys volleyball meet Team of DPS Megacity won the Runner Up trophy. In Junior Boys (under 13) inter school Basketball tornament (3 on 3)organised by NBA , the basket ball team of DPS Megacity won the runner’s up trophy. Total 200 schools participated in the above mentioned event. The basket ball team of DPS Megacity won the Runner’s Up trophy in Inter school bastekball tournament organized by BFI IMG Reliance. The team was awarded cash prize of rupees thirty thousand. In Inter School Aquatic Meet , held at Mahadevi Birla World Academy on 25th September 2014, DPS Megacity was awarded the second position. Aaron Choudhury : 25 mts freestyle Gold Medal, 50 mts freestyle Gold medal and 100 mts freestyle Silver medal. Diksha Khandelwal: 25 mts breaststroke silver medal, 50 mts breaststroke Gold medal, 4X25 mts individual medley - Bronze medal. Aarushi Khandelwal: 100 mts freestyle silver medal, 50 mts freestyle silver medal, 25 mts freestyle Bronze medal. Samaiyta Sarkar:100 mts freestyle Bronze medal, Prgati Jain 25 mts Breaststroke Silver medal. All India cricket tournament organized by JK tyres the Cricket team of DPS Megacity emerged as the winners. In West Bengal open Karate Championship 2015 - Garima Goyel won the second prize and Sumant Agarwal won the second prize. The West Bengal team was declared the Runner up in the above mentioned event. Results of : 5th I.T.F National and Invitational International Taewondo Championship organsied by Taekwondo Association of Uttar Pradesh.